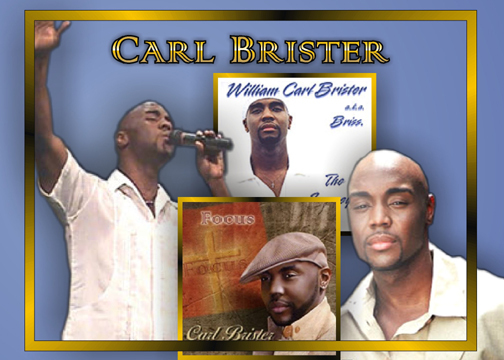 Carl Brister Is a Minister of Music who is gifted in creating and presenting contemporary R & B urban Gospel music with elements of jazz and soul, packed with spiritual messages; music sure to entertain and uplift a wide listening audience. As CEO of Agape MusicWorks Records and Ministry, Carl has found his mission. He uses his musical gifts to compose songs, and perform songs which "encourage others to have faith in their purpose, have the determination to carry it out, and to use prayer to see it through." Carl comments, "Each message I deliver has the ability to change someone's FOCUS from the situation and on to the solution - Jesus Christ. I'm grateful for this job". 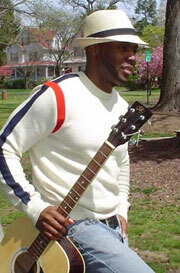 Carl has been seen on BET's Bobby Jones Gospel and ministers through song around the world. In addition he assists church ministries who have a desire to go to the next level through his Music Ministry Workshop entitled: The FOCUS of Music Ministry. For not only is Music Minister Carl Brister a talented composer, lyricist and performer, he also travels around to various churches presenting worship music workshops, to help church choirs and artists improve and enhance their own musical gifts and talents for the glory of the Lord. He "assists church ministries who have a desire to go to the next level" through his Music Ministry Workshop entitled: The FOCUS of Music Ministry. He leads and teaches others in his LET'S GROW, LET'S BUILD, LET'S FOCUS Music Ministry, vocal Coaching & Gospel Industry Workshop Series. Carl Brister began life by growing up in Plainfield, New Jersey in a stable, loving home with his parents and brother. Carl shares with ChristianMusic.com about his parents and his growing up years. "My mom and dad were the source of guidance, values and character. I'm blessed that they are still together today. I was taught to be independent and resourceful. When there's a roadblock that you can't get around, look for another street." Carl Brister's father was also a musician and rehearsed his funk band during the evenings, providing an early exposure to music and singing for young Carl, who would try to stay up late and sing harmony with the band. Carl's father was his first musical influence and guide. Carl shares, "Musically, my dad encouraged me to grow in most areas but he wasn't easy on me. I didn't like it back then but it helped me to develop a good work ethic. This has been very helpful, especially as an independent artist." When Carl was in the 7th grade, his father brought home a very old, green piano. Brister remarks, "It was so out of tune, but I loved it! I immediately began writing original songs. Learned to play by going to the library and getting a HOW TO book. Got formal lessons later." As Carl grew up, he received both formal and private vocal training. Carl was a music and voice studies major at Seton Hall University. ChristianMusic.com asked Carl about his vocal experiences. Carl shares, "I was singing since a kid, as far back as I can remember. Always loved it. First performance was a church solo as a kid (seven years old) on Easter Sunday. As an adult, it was B. Smith's Restaurant in NYC. I always wanted to sing music that reached people beyond church walls. So I would sing Jazz and R & B songs, but infuse songs dedicated to God as well. As time went on, I realized God was calling me to minister through music." Carl Brister has a lot to pass on to other people called to be in a Christian music ministry. 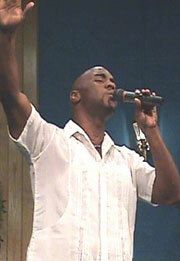 Carl has served the Lord for over 15 years in music ministry, with 7 and a half years experience as a Music Minister. Carl explains how the Lord prepared him for his life of service through music. "I believe the journey through the various types of music in my background prepared me for the type of ministry I have today. It reaches a diverse mix of people. I've also served as a Minister of Music for 7 1/2 years which has given me the discipline of study needed to really seek after God in His word and apply it to music." ChristianMusic.com asked Carl to share about his own Christian walk with the Lord. Carl: "I was exposed to variety of beliefs growing up, which included Islam & Jehovah's Witness. But I always gravitated back to the church. Spiritually, I have adopted big brothers and sisters in Christ that have helped me grow along the way. 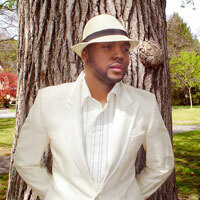 Don Corey Washington of the group, 'Provenance,' has been a Big Brother in Christ and Mentor. he's the one who pulls my shirt collar every now and then, just to make sure I'm focused. Rev. Ron Christian of Christian Love Baptist Church is a great influence as well." Carl explains how music has helped him grow spiritually throughout his life. "Honestly, music is the common thread throughout my spiritual development. Words are powerful whether spoken or sung. the Holy Spirit can remind you of something He's placed in your spirit from a song. God has reinforced His word, corrected and encouraged me at every level through music and songs." Carl shares his personal testimony to encourage others, answering the question, "What has the Lord done for you?" "God saved me as a child from child molestation. At the age of 5, I experienced this traumatic situation once by a male babysitter. Now that I have worked through it in Christ, I realize like Job, God did not allow the enemy to take my life. I was spared to tell others about God's love, forgiveness and that at the hands of evil you don't have to be a victim. Satan would love for that situation to be the end of my story, but its only one chapter in a book that's giving God the glory and pointing others to Christ through my life and song. Every day I go on in spite of that experience; I win again and again for the kingdom. We are more than conquerors, we are overcomers. I have the victory in Christ." His newest release, FOCUS, is a powerful collection of contemporary R & B urban Gospel songs, which are entertaining, uplifting and a little convicting to listeners of all genres. Brister's vast musical experience in other genres adds color and variety to these compositions, which so beautifully support each message, "which has the ability to change someone's FOCUS from the situation and on to the solution - Jesus Christ." 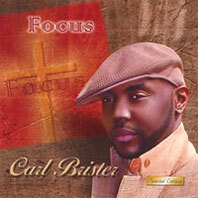 Carl Brister explains on his myspace page, "Each song on this CD has a life of its own and is like a postcard from God. I'm just one of His delivery guys. For me, every song is marked "Urgent". And I do my best to handle them with care. Wherever they are destined to go, I try to hear God's voice and take them there."